Mesh banners make ideal large format outdoor banners because mesh has holes that allow wind to pass through the banner. This puts less stress on the structure the banners are attached to and reduces the likelihood the hem and grommets will tear out. Construction sites, fences, and large outdoor venues such as concerts are just a few applications where mesh banners are the perfect choice. 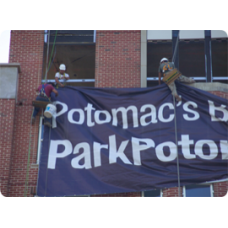 Browse through the mesh banner options below to find the right mesh banner for your next outdoor display project. 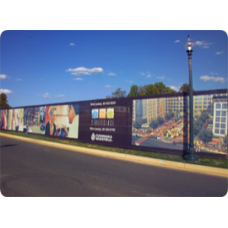 Our discount mesh banners are typically used for outdoor projects which require a lot of coverage to.. These premium mesh banners are geared towards clients who demand premium quality for their brand ima..